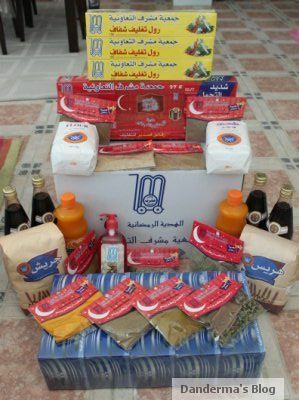 My husband has an account in Mishref Co-op and today he went and picked up their Annual Ramadan Gift. Every year the gift is not all that, nothing noticeable or worth getting. I can’t even remember them to be frank. This year however the gift was one big huge box! Filled with: 4 Bottles of Vimto, 2 Bottles of Orange Nesquick, 2 bags of 67een, 1 bag yreesh, 1 bag harees, 11 bags of different and essential spices, Kleenex Boxes, Aluminum Foil, boxes of Clear Foil thing, and hand soap! Shensawe fehom el7een? Ele yabe minhom shay 7yah 3ndena! Kil hathee Hadiya? 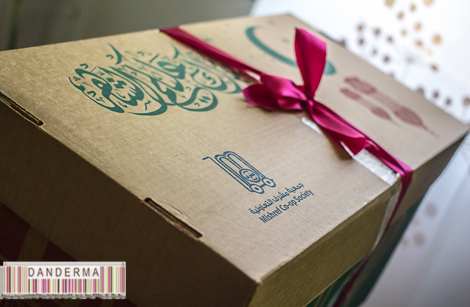 What did your Co-Op give you as a Ramadan Gift this year? 11 comments • Food • Fun • Gifts • Kuwait • Life • Memories • Occasions • Q8 • Ramadan • Shopping • Society • Things I like • Things i'm waiting for!